Gallons x 8.35 = Lbs. When pulling or carrying the fully loaded tank with pressure washing system, please be sure to check the pulling capacity of your vehicle. 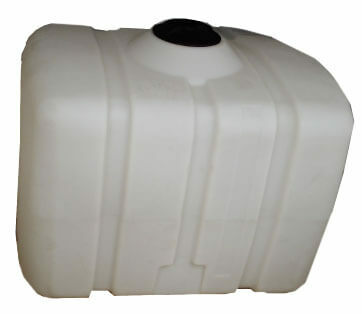 We have a wide variety of professional use water tanks. These professional water tanks can be bolted to a truck or trailer. We can install the drain hole at different positions at the bottom of the tank depending on where and how the tank will be mounted. If ordering online please specify in the notes section of the checkout page where you would like the hole placed. NOTE: On any tank feed system each pump must be fed by its own separate feed line only. Never feed multiple pumps with one common line. REQUIREMENTS Required GPM Min. Feed Line Size Inlet Filter (40 Mesh Max.) NOTE: All plumbing accessories should be the same or greater diameter as the feed line. All ball valves should be full port valves. NOTE: On any tank feed system each pump must be fed by its own separate feed line only. Never feed multiple pumps with one common feed line. NOTE: For Tank Feed Systems over 7 GPM, feed pumps through BOTH inlets to ensure proper flow and prevent cavitation and damage to pump. Keep suction valve open whenever system is being operated. 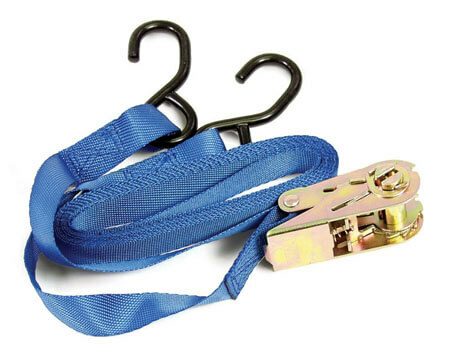 By-pass hose must be open and unrestricted at all times. 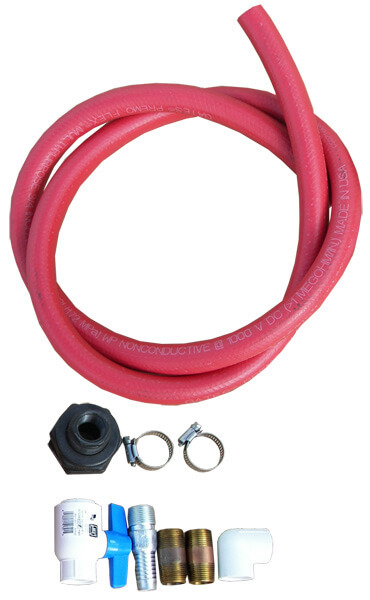 Never install an agitator or ball valve on the by-pass hose. Never run any pump without a pressure control valve or regulator installed. NOTE: Protect pump from freezing. If freezing conditions exist, flush pump and hoses with a 50/50 mixture of anti-freeze and water. USE FILTER SCREENS THAT ARE BETWEEN 10 & 20 MESH ON THE INLET SIDE OF THE PUMP. Never use a fine filter screen with diaphragm pumps. 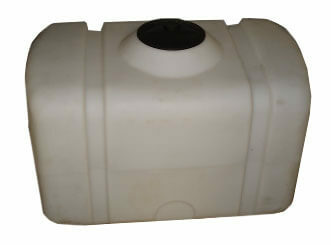 The float valve assembly is designed to shut off water flow coming into the tank. When water is filling the tank, it raises the ball to a predetermined level. As the ball reaches its peak, it closes the valve at the other end of the ratchet pole thereby not allowing water to enter the tank. Ball valve allows the user to temporarily stop the water flow through the pressure hose (without shutting down the machine) and change quickly between spray gun and other attachments.